Beerenberg is known for their jams and relishes and dressings but now they have added a few more tempting and tantalising reasons to love their range: slow cooker Spanish Chicken, Moroccan Lamb, Cuban Mojo Port and Hungarian Beef Goulash. And another good reason to love Beerenberg is that their products are gluten free. You can find Beerenberg in the supermarkets but gourmet pantries and delis will have a wider range. VIP Gourmet Cellar next door to the Victoria Park Hotel on Boundary Street South Townsville is well stocked with this new range of slow cooker items as is Christo’s Deli at The Precinct Fairfield. 1. 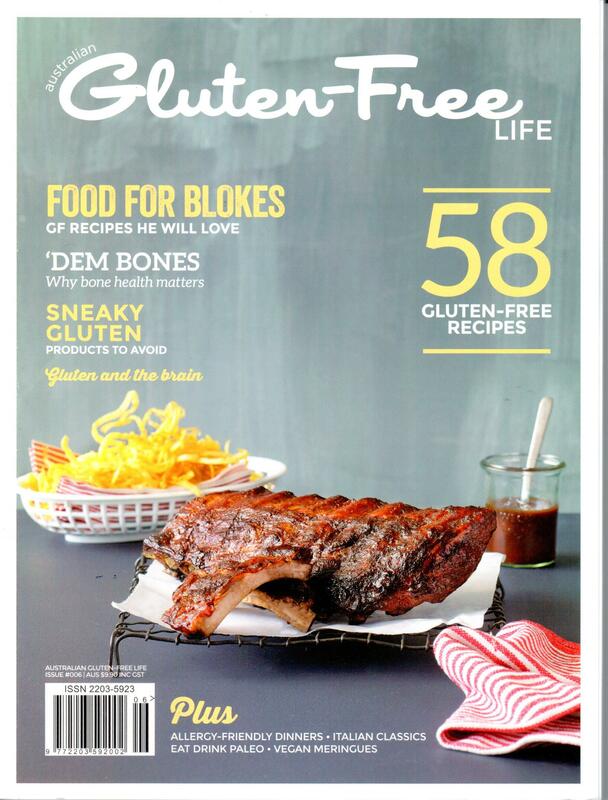 Australian Gluten Free Life has magazine subscriptions or a “The Box” full of gluten free goodies or you can purchase single copies in newsagencies. 2. The Gluten Free Scallywag has been busy and you can now pre-order her Volume 4 Magazine. If you missed Volume 3, it is available for purchase as a Printed Edition or Downloadable File. If you want to try before you buy, then download Volume 1 and 2 for FREE! You won’t be disappointed. 5. Jelly Belly Jelly Beans are a gluten free lolly staple especially at Christmas time. Myers in Townsville are already stocking their shelves. 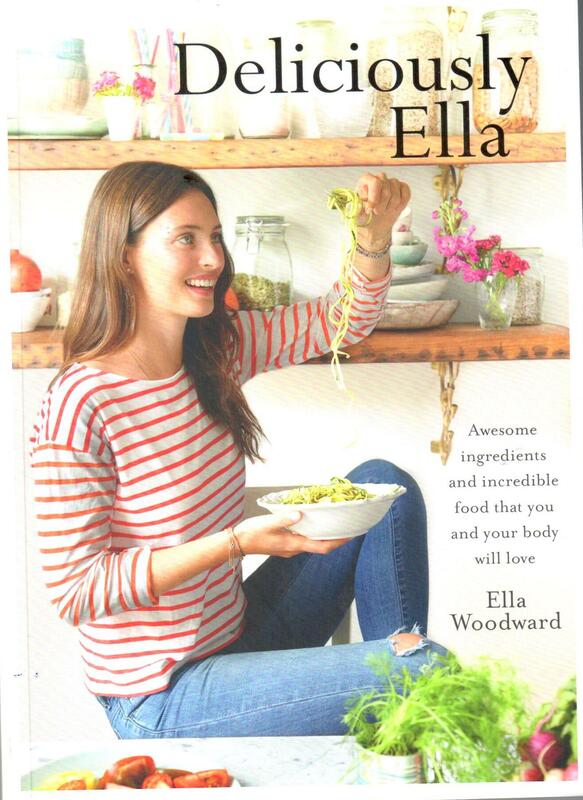 Thank you Ella for your fresh approach to wholesome, healthy and gluten free foods. Ella started with her blog as a way to heal her body after a diagnosis of Postural Tachycardia Syndrome. One thing lead to another and she is now author of two books: Deliciously Ella and soon to be released Deliciously Ella Every Day. 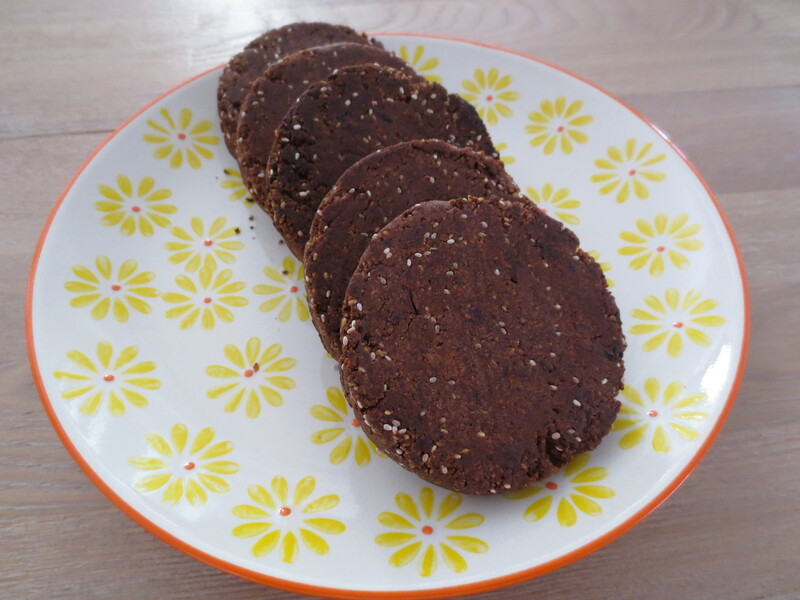 If ever there was a reason for me not to publish a photo, then MY version of Ella’s Chocolate Chia Cookies is it. 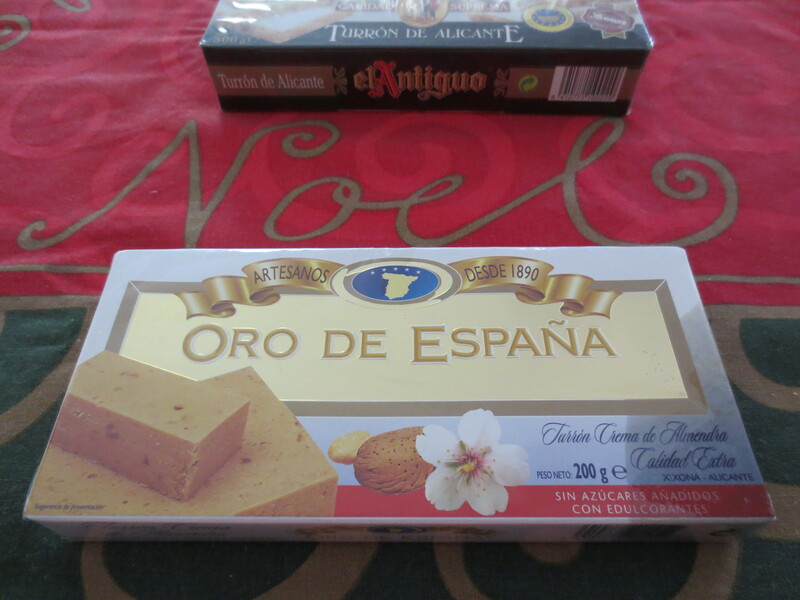 However, these cookies are deliciously moorish. My gf son, who has texture and colour as important criteria when deciding if he likes something, did give the cookies a try. Thumbs down from the gf teenager, but thumbs up from this non coeliac baker who loves to experiment. 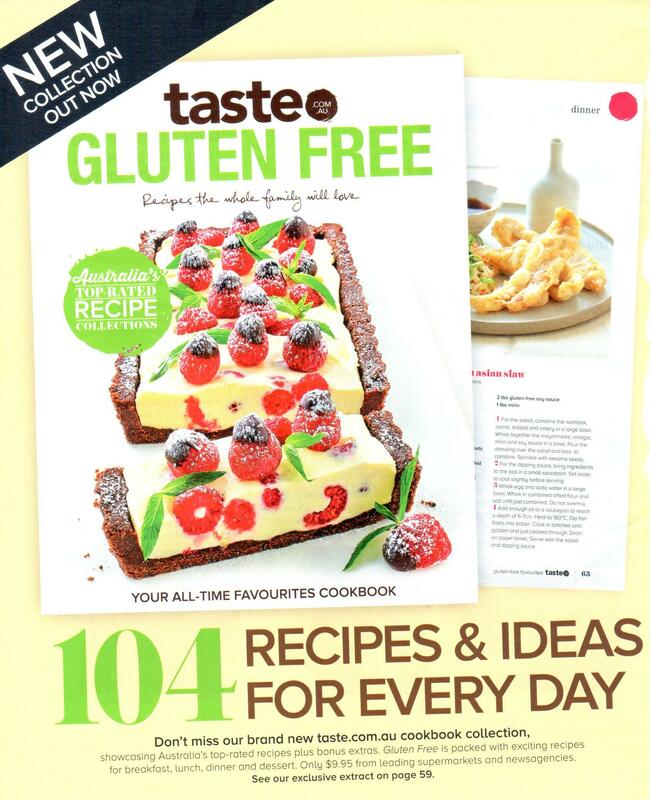 My eye caught a gluten free cookbook at the newsagency recently and while I have vowed not to buy any more cookbooks, I thought I would just flick through a few pages. It was the White Chocolate Mud Cake that swayed me and so for $12.99 I now have this cake on my ‘to do’ list. 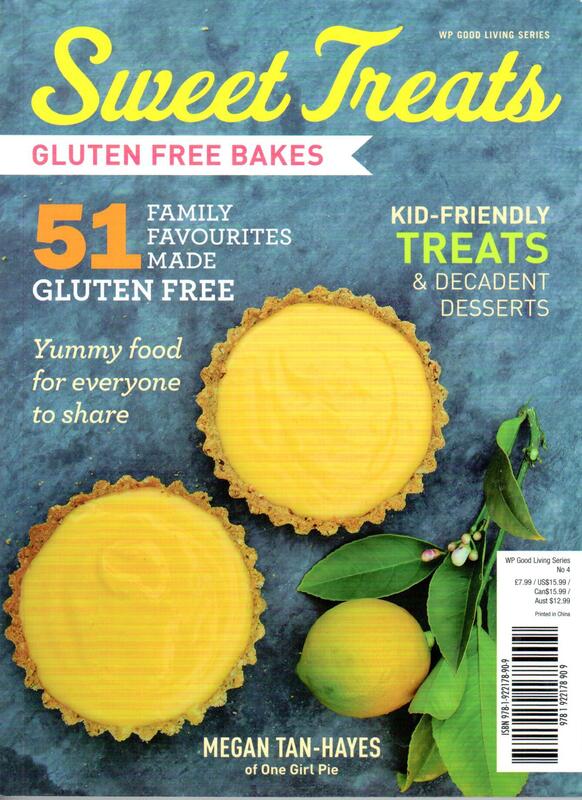 “Sweet Treats” is written by Megan Tan-Hayes and on reading a little more about her recipes and inspiration for gluten free cooking I also found that she is “One Girl Pie” baking sweet and savoury pies. If you are lucky enough to live in Melbourne or are visiting Melbourne then her pies are available at Frederick’s Richmond, Common Good Grocers Hawthorne, Darriwill Farm Albert Park and Darriwill Farm Prahan Markets. Who could resist:Christmas Cranberry, Pork and Fennel, Blueberry, Chicken and Leek, Steak and Mushroom and the list goes on…. But if you don’t live in Melbourne, you don’t have to miss out as Megan shares her One Girl Pie – Blueberry Pie recipe in her cookbook. 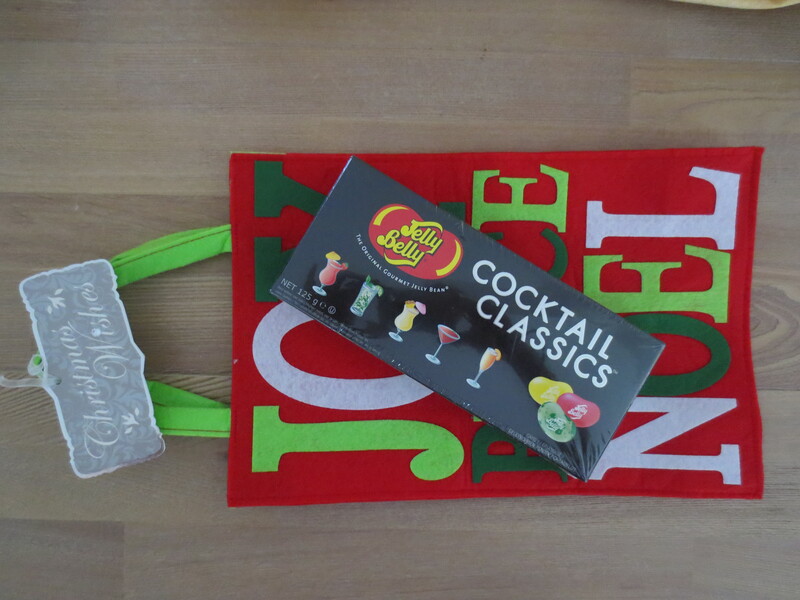 Browsing the Christmas shelves at Myer yesterday, I found the Jelly Belly section and thought that their “Cocktail Classics” was perfect for a Christmas stocking filler for the gluten free teenager in the house. 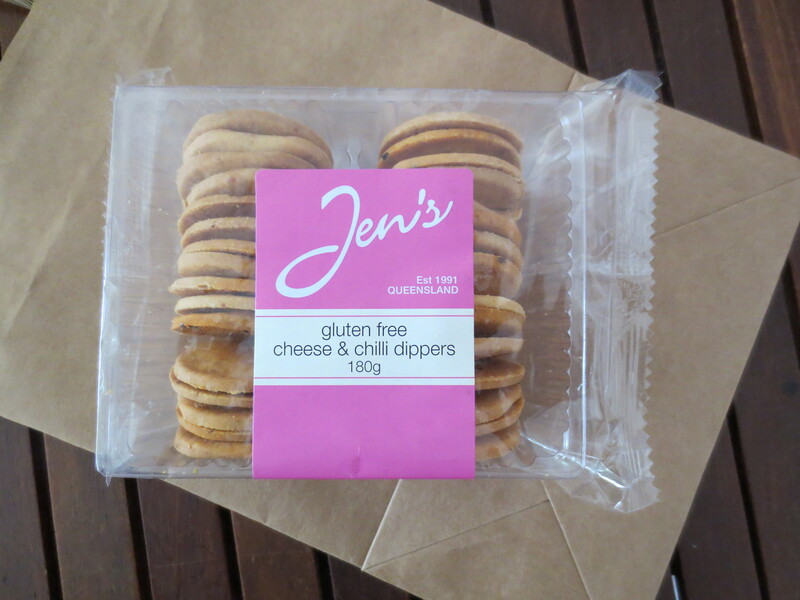 Last year I wrote about gluten free food related gift ideas and stocking fillers. 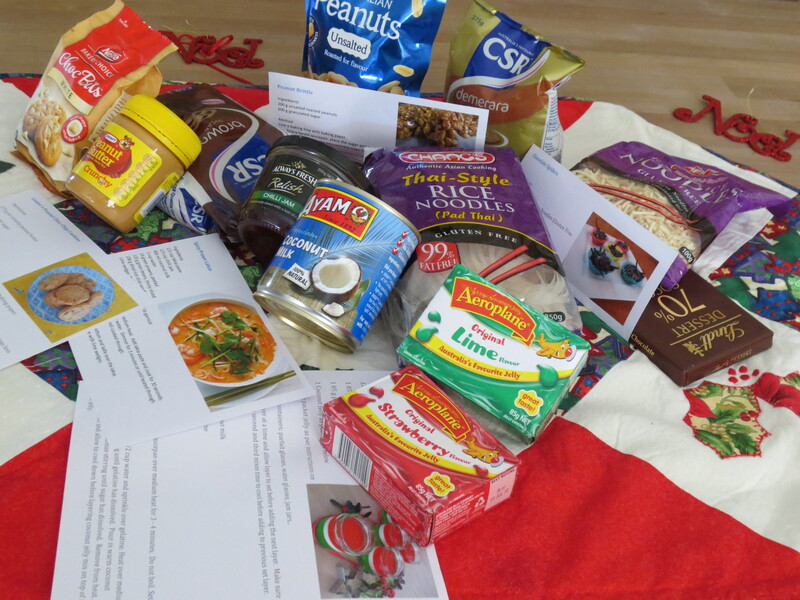 I had satisfied myself that you can find a gluten free food gift at Christmas and I hope that I have also given others some ideas. So with my second blogging Christmas fast approaching I have put my thoughts toward other gift ideas for those with coeliac disease. For something personal : if your gf son or daughter is ready to leave home then make up your own cookbook with your tried and tested gluten free recipes. I made a recipe book last year for my gf son which is filled with all the practical recipes I know he will use and make when he leaves home. A copy sits on my kitchen bench and is used many many times during the week for flat breads, wraps, bread rolls, granola, pancakes. And it also includes recipe bases for spaghetti bolognese, lasagne, risottos. 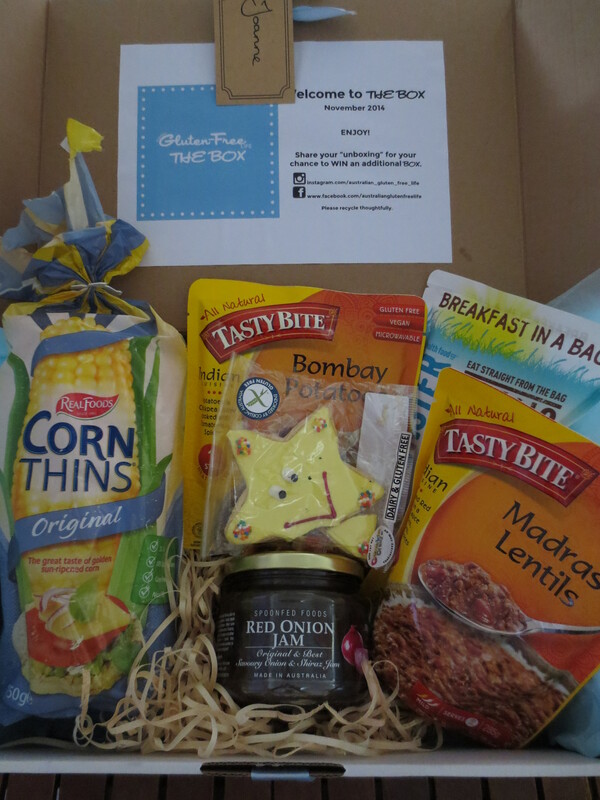 Australian Gluten Free Life who publish a monthly magazine have launched their “The Box” :a box of gluten free goodies delivered to your door on a monthly basis. Looks interesting as I see this ‘surprise box’ concept is popular in other parts of the world. This is a great way to try new products that you might necessarily and readily have access to. 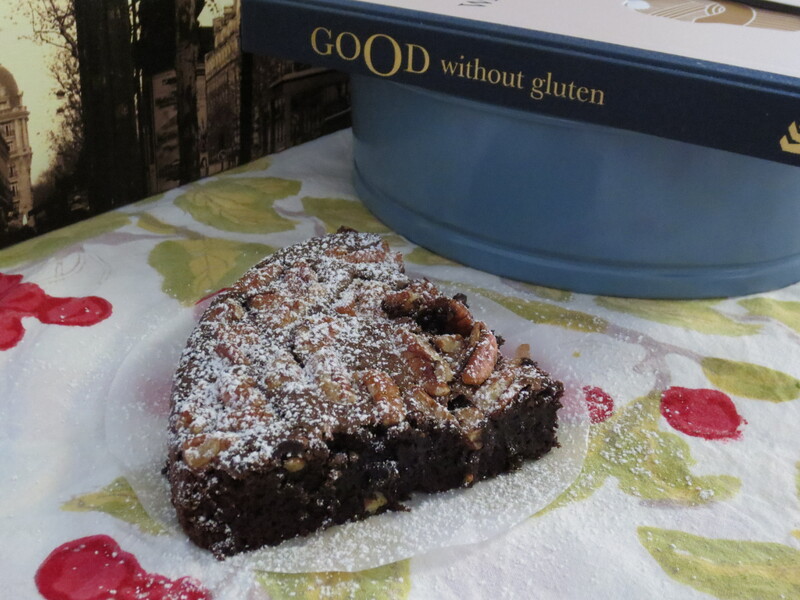 If you yourself are not a gluten free-er, then you can still put together a package with a recipe card and a few pantry ingredients for the recipe. 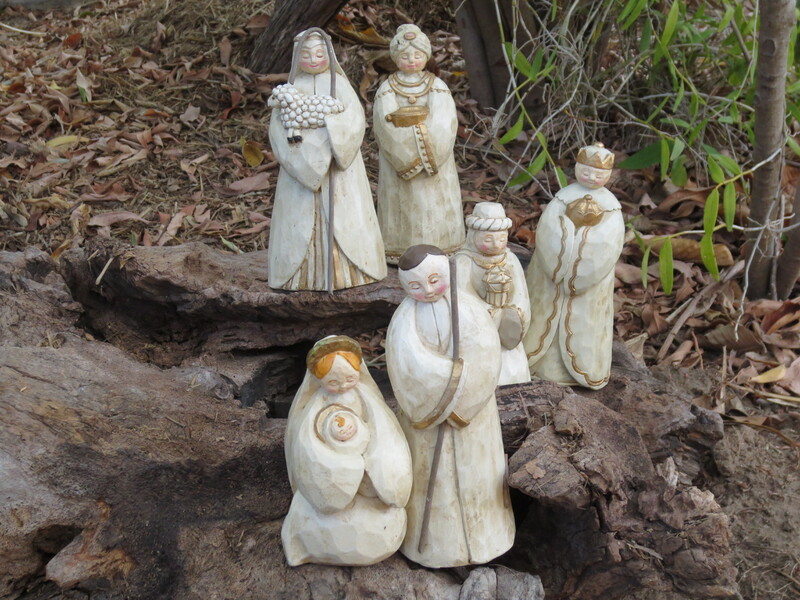 Remember, it is the thought that counts and the fact that you have put a little thought and time makes this gift special. 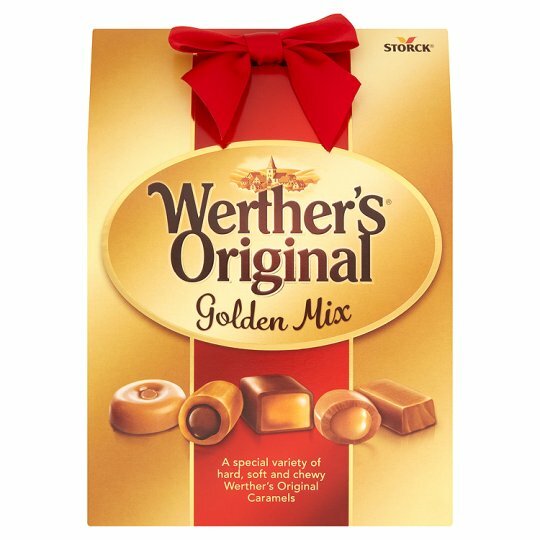 Choose recipes that will only require the addition of a few ingredients on top of the ones that you have put in the gift. taste.com.au has a data base of over 27,000 recipes drawn together from a number of leading food magazines. A search of their recipe data base results in 844 tagged gluten free recipes and now a Gluten Free Cookbook has been published. Priced at $9.95, you can find a preview of 6 of the recipes in the April 2014 issue of taste.com.au magazine. 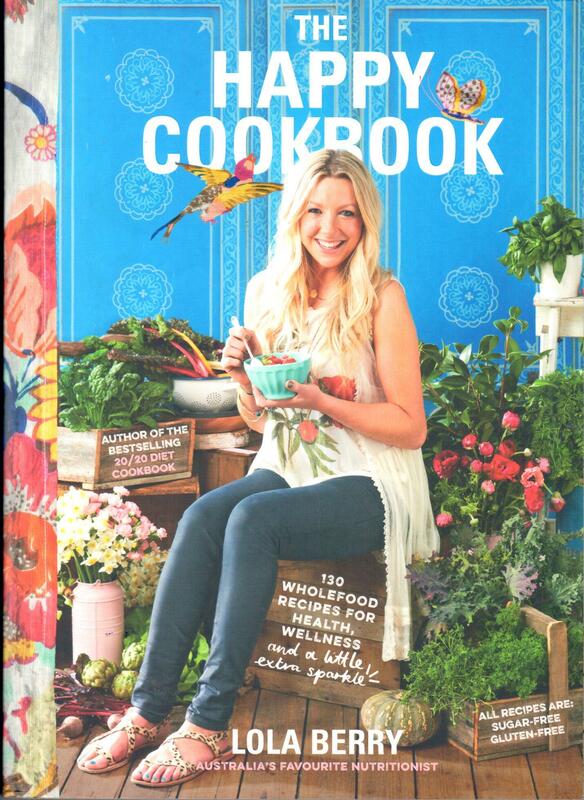 It is advertised that the cookbook is available at leading supermarkets and newsagents. So keep an eye open for it. I found a copy this morning in Woolworths tucked behind a pile of other taste.com.au cookbooks. 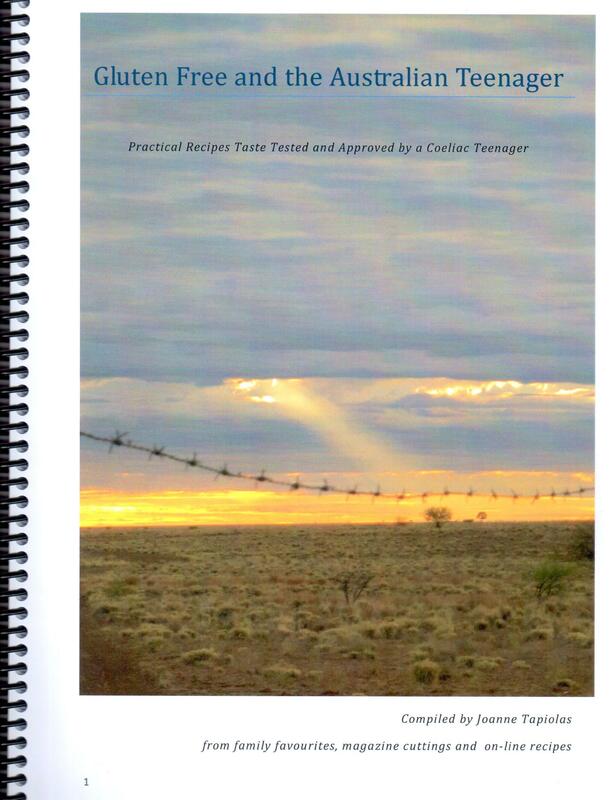 All the recipes I am sure are available online but I am a bit old fashioned and like to have a printed copy. I am showing my age I suppose. 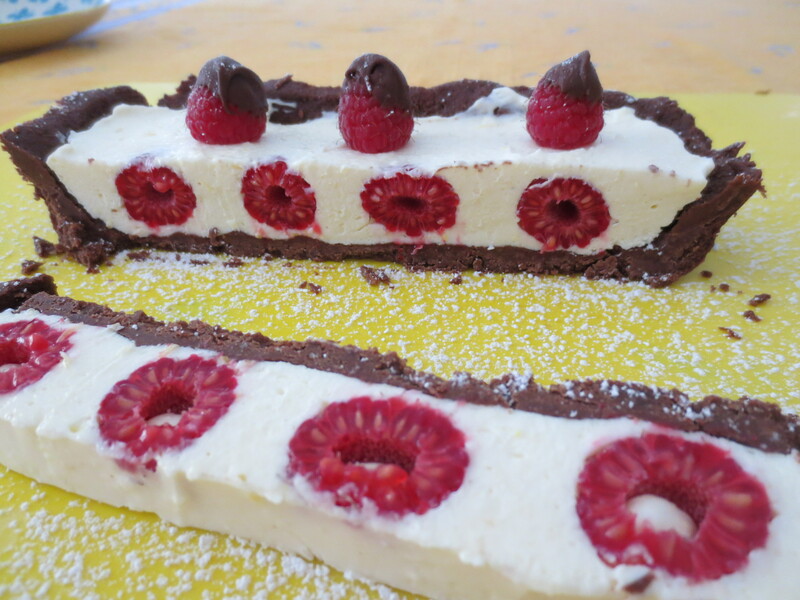 The dessert on the cover is very tempting indeed – a no bake raspberry cheesecake.